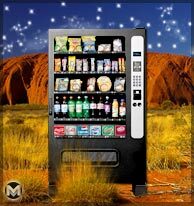 Snack & Soda Vending Machines - Buy New & Refurbished Vending Machines Online! Owning a vending machine or machines is a great way to bring in some income. 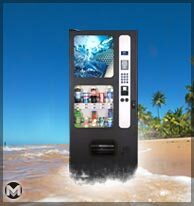 From drink machines and snack vending machines to cigarette vending machines, MEGAvending.com has the stuff to keep the cash flow coming your way. Think of our site as a vending machine full of vending machines – choose the one you want and we will get it to you quickly, easily, and affordably! With our large selection and detailed descriptions of each machine available, MEGAVending.com is the place to go to learn about the types of machines available and how they can help you make money. MEGAVending.com sells new and refurbished machines, offering quality discounts and specials. Whether you're looking for a used vending machine for sale or the latest model, it's here. 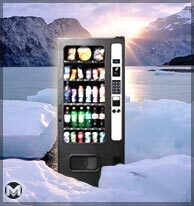 MEGAVending.com also helps vending machine owners connect with route suppliers, making this the first and last place you'll need to go when starting or improving a vending machine business. 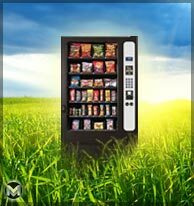 At MEGAVending.com, we offer a premium selection of snack, soda, combo, and cigarette vending machines at competitive prices, along with the friendly experts to help you figure out which one is best for you. 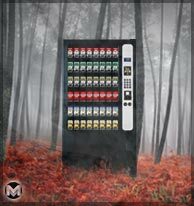 Whether you're new to the vending business or you're a veteran vendor looking to add another machine to your collection, MEGAVending.com has the expertise and the inventory to help you get the most for your investment. 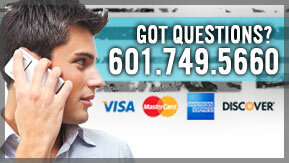 Convenience, customer service, quality products, and competitive pricing in one virtual location. These are the benefits MEGAVending.com offers. Whether you're hoping to pick up a little extra income by owning a machine at work or you want to start a major corporation with hundreds of machines in multiple states, MEGAVending.com can help you find the right machines at the right prices without your ever setting foot outside the house. To learn more, simply browse the inventory or contact MEGAVending.com today. MEGAvending was started as a way to protect unsuspecting vendors and startups from the many risky options in the industry. Our no pressure support & service is just one of the ways we treat customers as we would like to be treated. Our sister site USEDvending.com began in 1999 and MEGAvending in 2001. Both have created reputations of trust and value over these many years. With over 1700+ customer testimonials, I love reading the new ones that arrive each week and over the years saw several common themes in their letters, but one was not expected. It's a great feeling to hear how we've helped so many to see their dreams come alive. In many cases we've heard their stories first-hand and in detail as we have gotten to know them better, but in others we don't realize the impact until they share it in a letter or testimonial. For some it was opening doors to a whole new future. For others, it was removing a burden that seemed impossible. We never know what's going on behind the scenes, but we all need someone we can trust and count on to make the sun brighter. Thank you for trusting us with those often personal challenges and hopes. We've made many friends over the years and enjoy those connections. Our focus to provide great service and values has given back to us by being part of the story in seeing so many others become successful, taking a major life change, starting their own business, or expanding beyond their dreams! 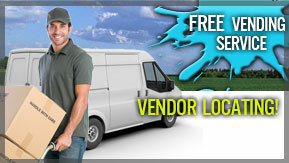 Whether it's vending machines, food trucks, vending routes, etc... we love what we do! If we've been a part of your story, please let us know.